The Lenovo fever is never ending, another feature release of Lenovo Philippines, the Lenovo P780 "burning out is not an option". 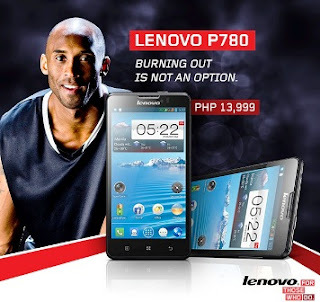 With Kobe Bryant endorsing Lenovo smartphones, we can say that it is a little bit enticing to purchase such phone, what can we say? He's a NBA star. Well, enough of that since its the Lenovo P780 that we're going to discuss here. 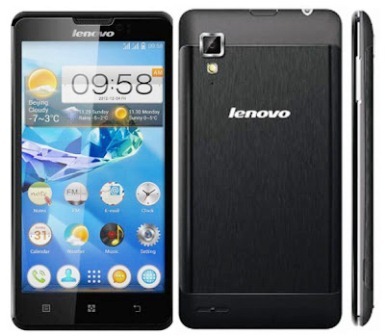 First of, Lenovo P780 is already included in the Phablet family, the 5-inch HD display is the reason why. While it is big, Lenovo P780 is also a powerful smartphone, boosting with 1.2GHz quad-core MediaTek MT6589W processor to match other competitive quad core smartphones out there, another plus factor for Lenovo P780 is monstrous 4000mAh battery, no wonder its quite expensive, but its worth the cost, you can use Lenovo P780 for a whole day of calling, gaming, various entertainment while making most necessary connection live. Priced at Php13,999 SRP in the Philippines | Available now on most local Lenovo Stores and participating retailers nationwide. If you happen to have this cool smartphone, kindly share your experience with us. Thanks!